In Love with Log houses? Here's one for you! 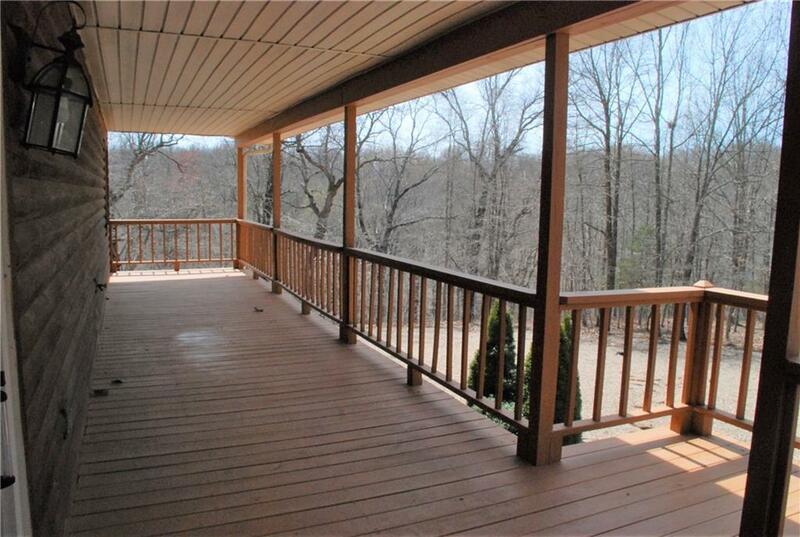 built on a cul-de-saq, enjoy the privacy of the woods from the front porch. Interior has tongue and grove walls and ceiling, and a massive stone fireplace; the perfect woodsman dream! The garage is oversized, and the back yard man cave/ workshop is an added bonus. The full length front porch is the perfect place to drink your coffee and watch the deer. Appliances convey. This is for you if you want to live the log cabin dream!